Today, I want to talk about things to do in Baton Rouge. 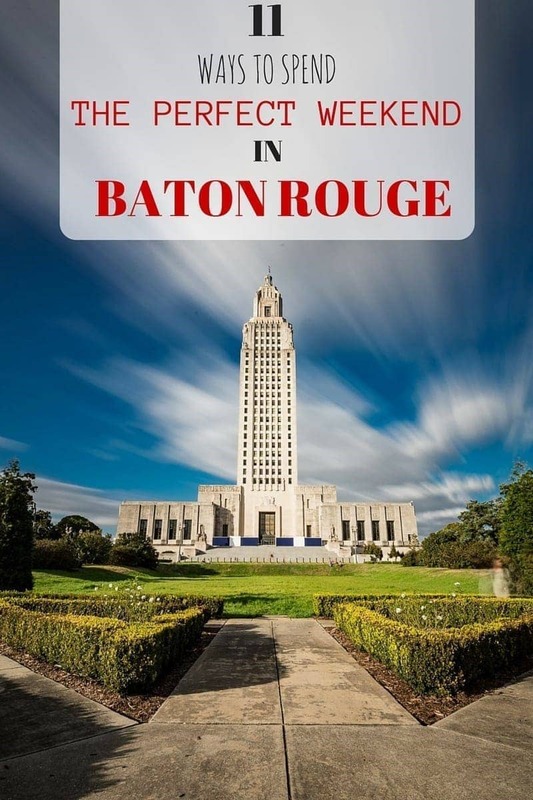 Baton Rouge is the capital of Louisiana, and a city I personally knew very little about before we visited. I am, however, very happy that we did visit, as we ended up seeing and doing a great deal! 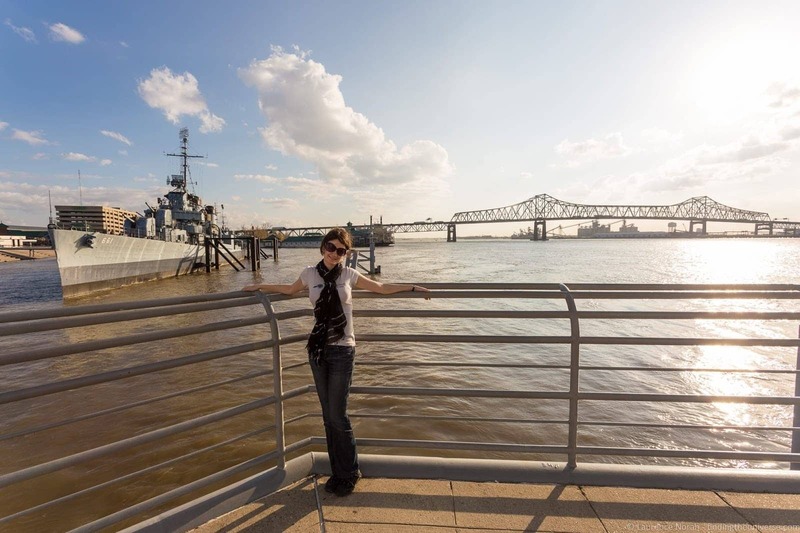 Our visit to Baton Rouge was part of a longer road trip through the ‘Deep South’ of the USA. That trip had us discovering excellent cuisine, gorgeous old plantation homes and fantastic cities. We also learnt a great deal about the history of the USA, and in particular the civil war and civil rights movement, both of which were focused in this part of the US. Our road trip adventure covered five states and over 2,000 miles of driving, with us starting in Charleston, and finishing in New Orleans (just in time for Mardi Gras, and my birthday!). You can read all the posts from our southern USA road trip here. I’m a big fan of getting to the top of a high building when visiting a new place in order to get oriented, and Baton Rouge has the perfect location for this. 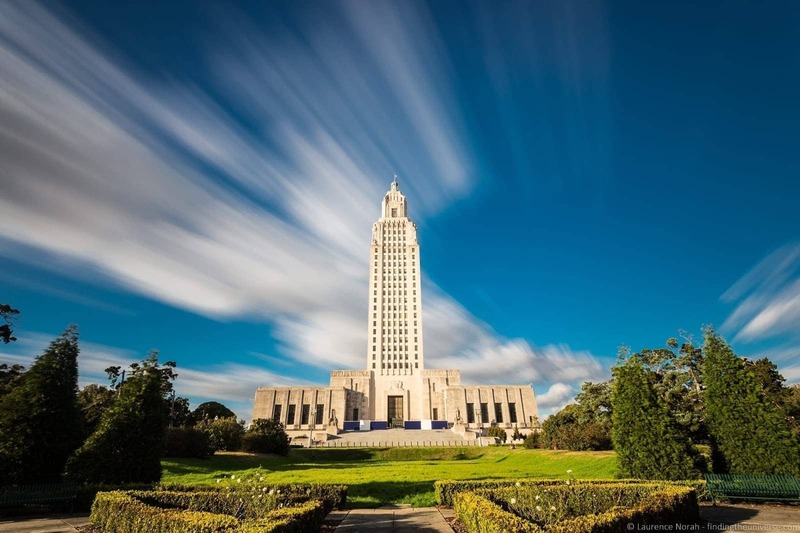 The State Capitol building is a mighty construction, towering over the city, and home to an observation deck on the 27th floor which offers incredible views of the city. There are more that just views to admire of course. 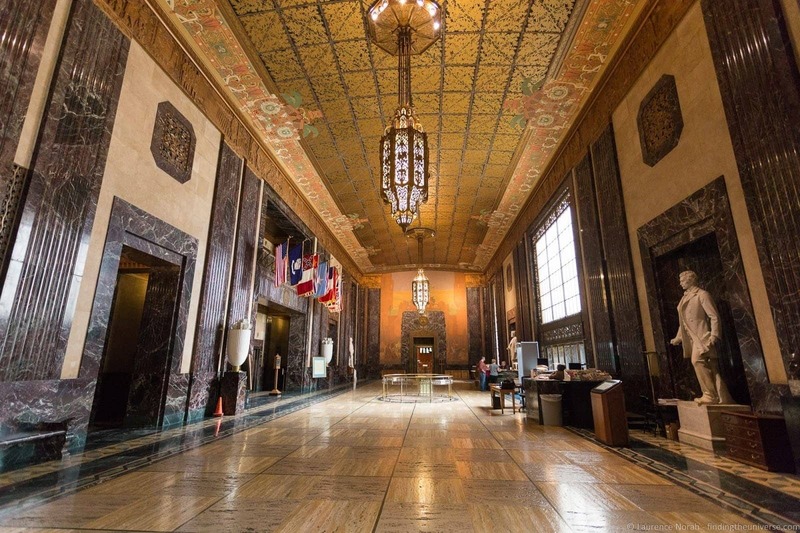 Built to an art deco style in the 1930’s, this building is a National Historic Landmark, and both the interior and exterior are worth taking a bit of time to admire. Inside, the huge memorial hall is the first point of call. Four storeys high, and filled with marble and rich decorations, it’s quite the statement. Of particular note is the massive bronze relief map of Louisiana that takes up a large area of the floor. 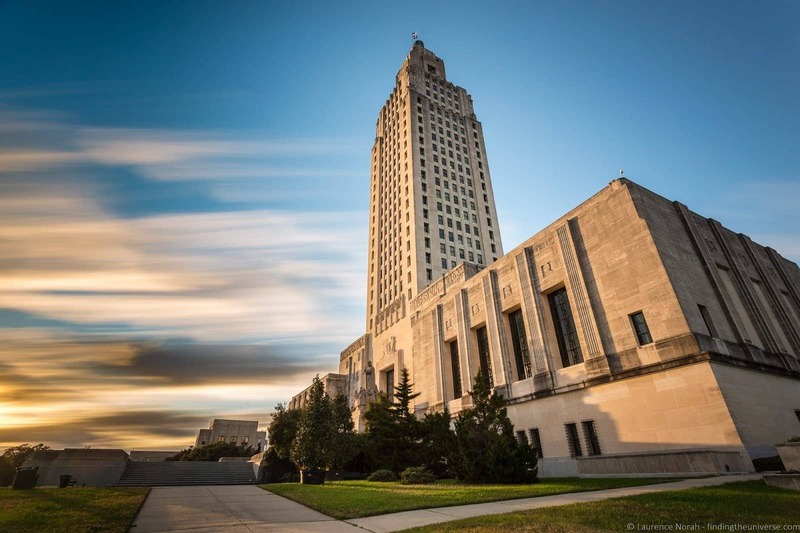 This being a working State Capitol building, there are also the two chambers – the House of Representatives and the Louisiana State Senate, which can be visited. We we there on a weekend, so no politics was happening, but we were still able to visit the chambers, as well as tour the building itself. Admission is free. Whilst you’re at the State Capitol, there are two other attractions you should consider visiting. The first of these is the Old Arsenal Museum, a five minute walk from the State Capitol building itself, and surrounded by beautiful gardens. 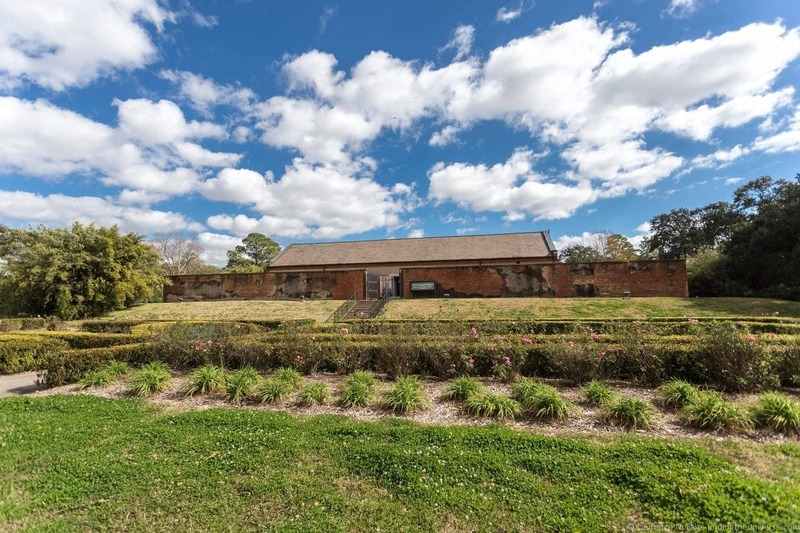 Built in 1838 as a powder magazine, in what was once the largest military complex in Louisiana, today the building houses a museum which covers the history of the building and how it was used. It’s one of the best examples of this style of powder magazines surviving in the US, and the brick constructions really is quite remarkable. Gunpowder being the sort of stuff you want to keep fairly well protected in the case of attack and bombardment! It doesn’t take long to visit and admission is free. Opening hours are usually 9am – 4pm, with the museum closed on Sunday and Monday as of time of writing. I’d suggest you call to check though. 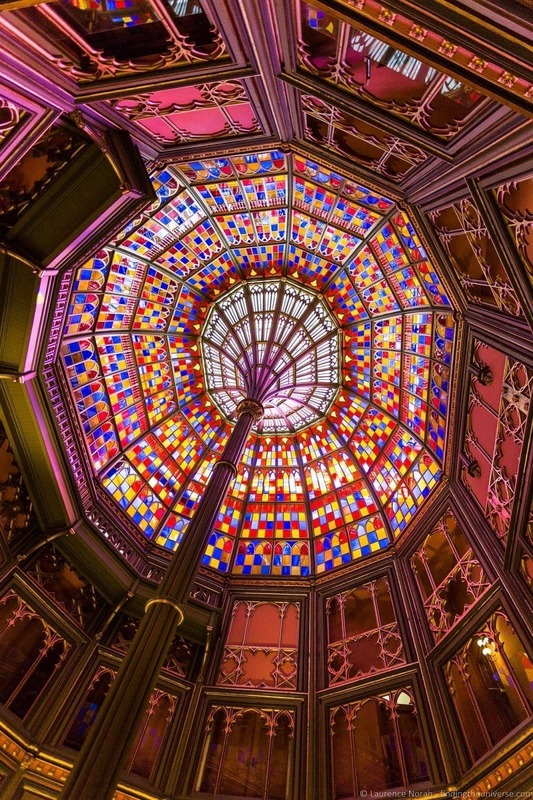 The final sight to see during your visit to the Capitol Park is the Capitol Park Museum. 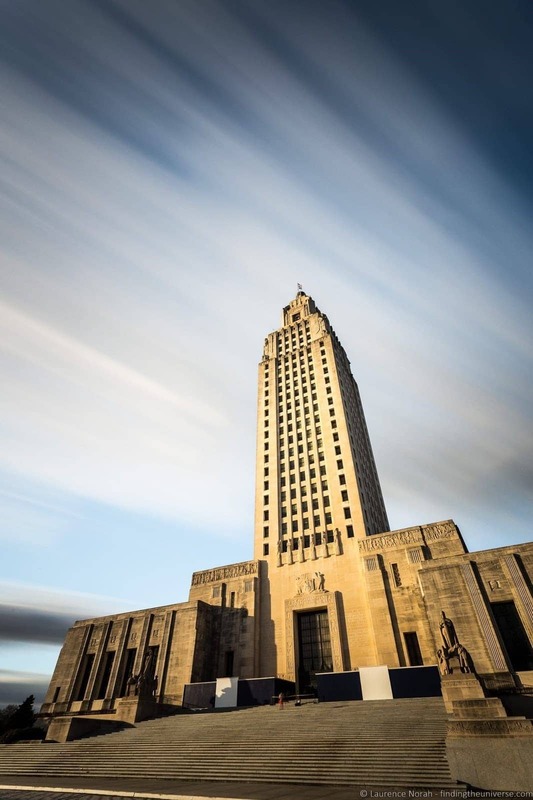 After you’ve gotten yourself oriented to the layout of Baton Rouge from the top of the State Capitol Building, this is the place to come to learn about the history of Louisiana, from the Native Americans and early settlers, right through to Louis Armstrong and Huey Long. The museum really does cover a lot, and you could easily spend half a day or more in here seeing all their is to see. There’s slavery and civil rights, shrimp boats and sugar cane harvesters, Mardi Gras and road trips. The admission at time of writing was $6, which is excellent value for money for everything in this museum, with loads of fun exhibits and something to interest pretty much everyone. More information on opening hours and up to date admission prices can be found on the official website. 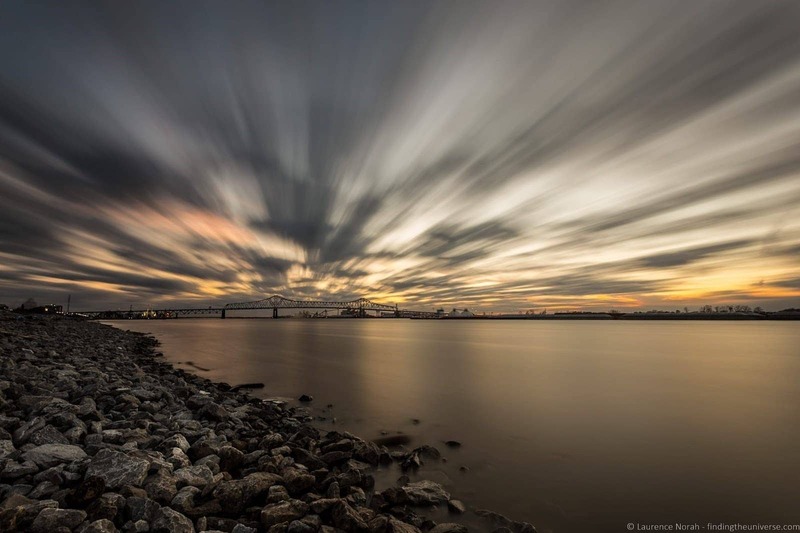 There is more to Baton Rouge than State Capitol related buildings, but I’m on a roll here, so I’m going to carry on. The Old State Capitol Building, as the name suggests, was the original State Capitol Building, and it dates from the mid-19th century. It was the State Capitol Building until the 1930’s, when the current building replaced it. It’s a fascinating building. Rather than the classic style of buildings that were popular at the time, which often copied the version in Washington, the architect and city planners went for a neo-gothic design that looks just like a castle, even down to the turrets and crenellations. The castle went through various functions, and fell into some disrepair, after the seat of government moved. However, it has risen above these challenges, and after funds were raised for restoration in 1990, has become the Museum of Political History. Our favourite parts of the castle, aside from it’s funky exterior, were the incredible stained glass dome, reached via a spiral stairway, and the 12 minute video on the history of the castle, which was a great deal of fun to watch. The museum is free to visit at time of writing – more information on what’s on and opening hours at the official website. 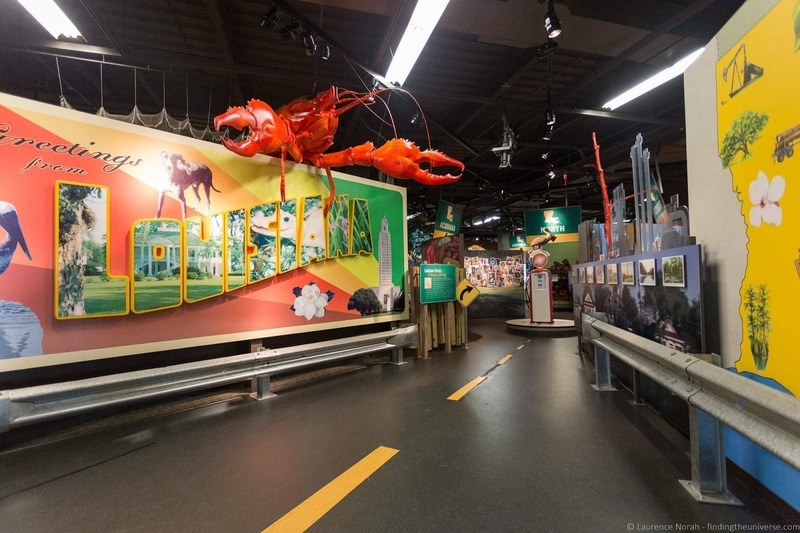 So this one is a bit seasonal, but if you do get the chance to visit Baton Rouge during the Mardi Gras festivities (as we did), then I can highly recommend it. 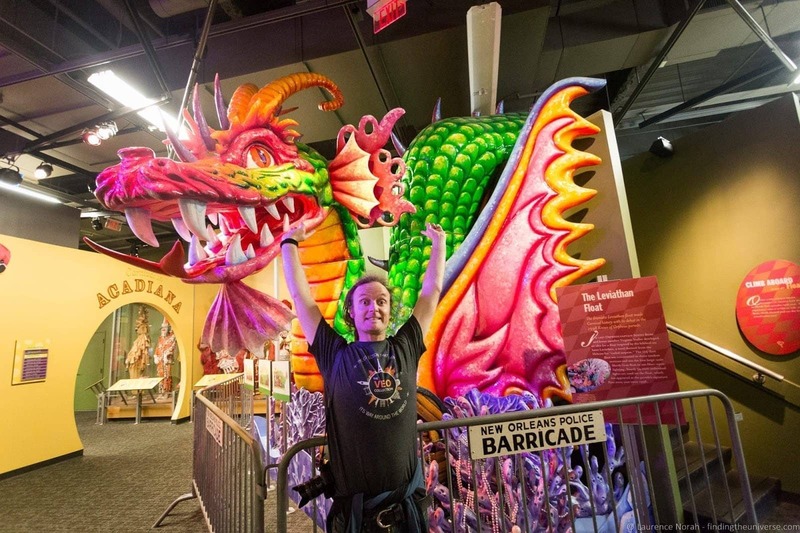 Many people think that Mardi Gras is a New Orleans specific festival, but the reality is that Mardi Gras parades happen across a number of states and cities in the US, as well as the rest of the world. In Baton Rouge, there are a number of Mardi Gras parades, including one dedicated to dogs! We attended a couple of parades – one in the day time, and an evening parade. We found it to be a really family friendly and relaxed atmosphere, with plenty of throws for everyone. We did hear that the most famous of the Mardi Gras parades in Baton Rouge, known as Spanish Town, gets a bit more racy, but we weren’t able to hang around to witness that first hand. 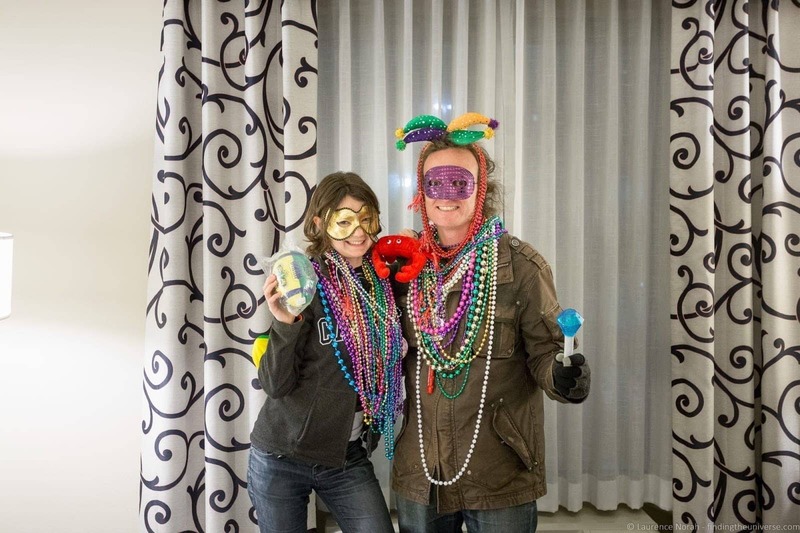 But yes, if you’re looking for a Mardi Gras experience that is a bit less crowded than New Orleans, Baton Rouge is a good pick! 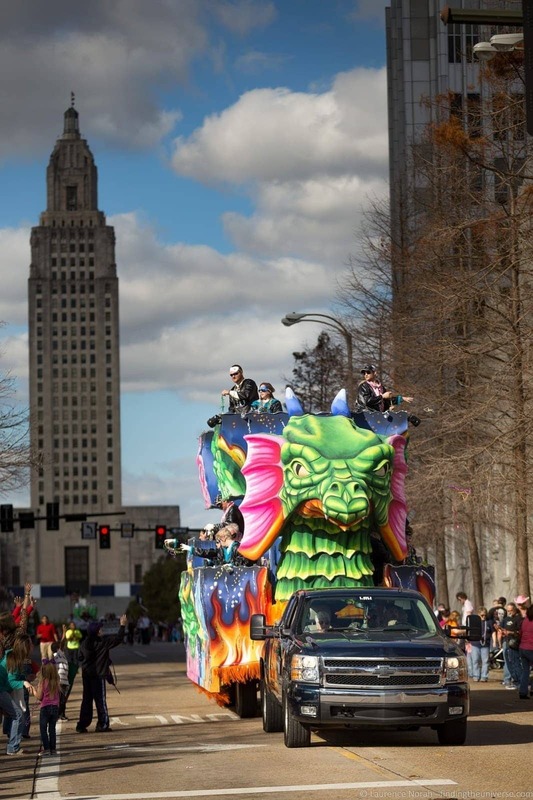 Find parade schedules and times for Baton Rouge here. Despite our best efforts, we weren’t able to visit the Old Governors Mansion, as we arrived after the last tour of the day. Still, it wasn’t a wasted trip, as it’s an impressive building from the outside too, and just a few minutes walk from the Old State Capitol Building. 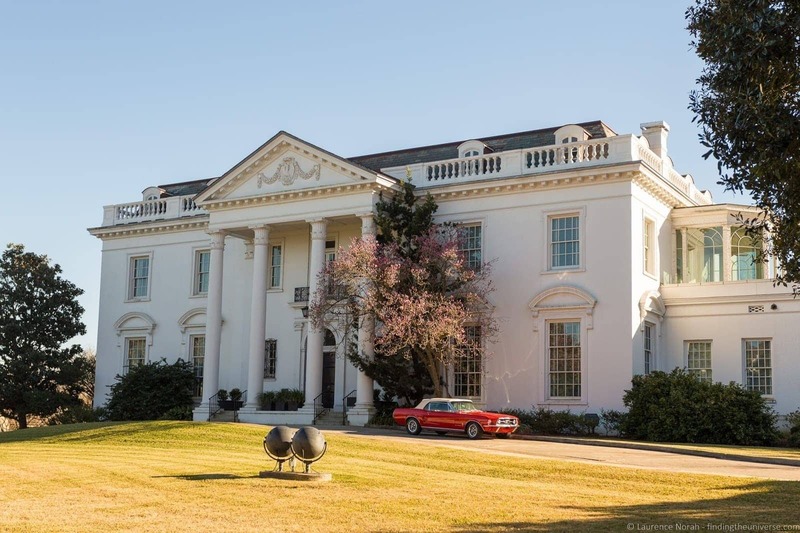 Once the house of the Governor of Louisiana, today this property is run as a historic house, with regular tours. You can just walk-in for these tours (if you make it in time! ), with full details on times and admission prices on their website. 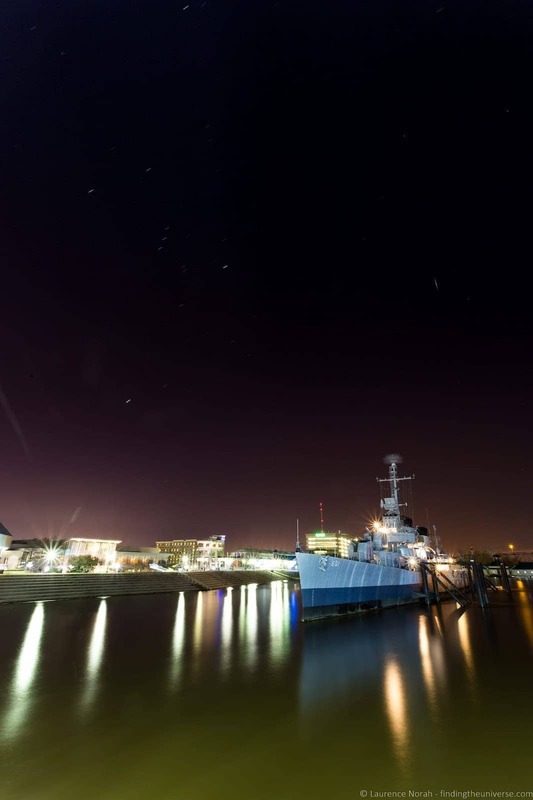 We had a fantastic time visiting the Patriot’s Point Naval & Maritime Museum when we visited Charleston, so when we saw there was a naval museum in Baton Rouge with the opportunity to explore a destroyer, we did our best to visit. Sadly, all our other plans collided, so we didn’t make it on board the vessel, but we did enjoy wandering around the outside and taking pictures, and would definitely recommend anyone with an interest in naval history to take a look. You can find all the details on opening hours and pricing here. Now, back to the places we did make it to. The last three sights on my list are a little out of town, so you’re going to have to drive a bit. The first is Nottoway Planation. We actually visited around 15 plantation homes during our Deep South Road Trip, with 12 of those in Louisiana along the River Road. If you are thinking of visiting a few plantations, check our Jess’s incredible guide to the River Road plantations that she has put together. 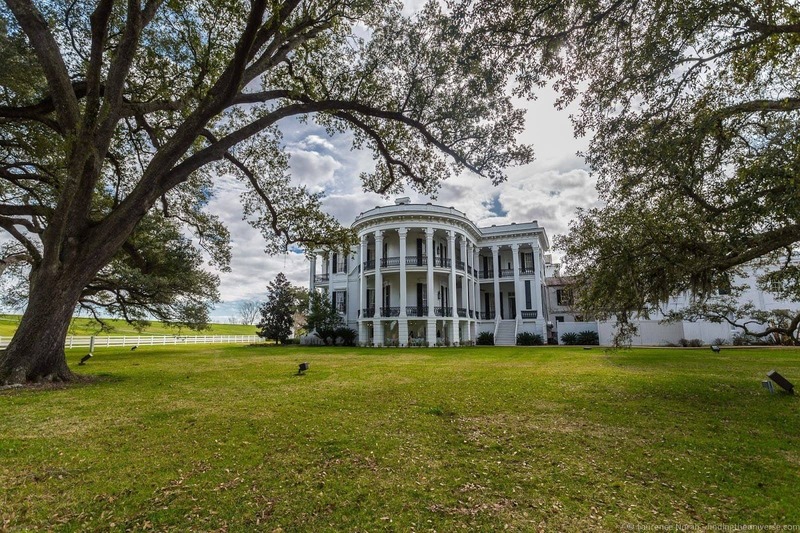 In the meantime, there are two lovely plantation homes within an easy drive of Baton Rouge, the first of which is Nottoway Plantation. 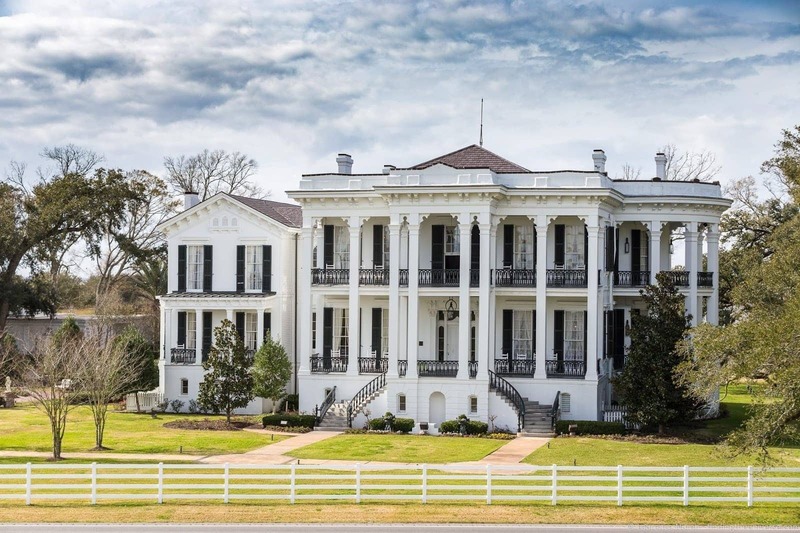 This is the largest antebellum mansion in the south, built in the Greek Revival style in 1859, and operating today as a hotel and tourist attraction, which means you can actually stay overnight here – and in the house itself, unlike Oak Alley (where we did spend the night!). 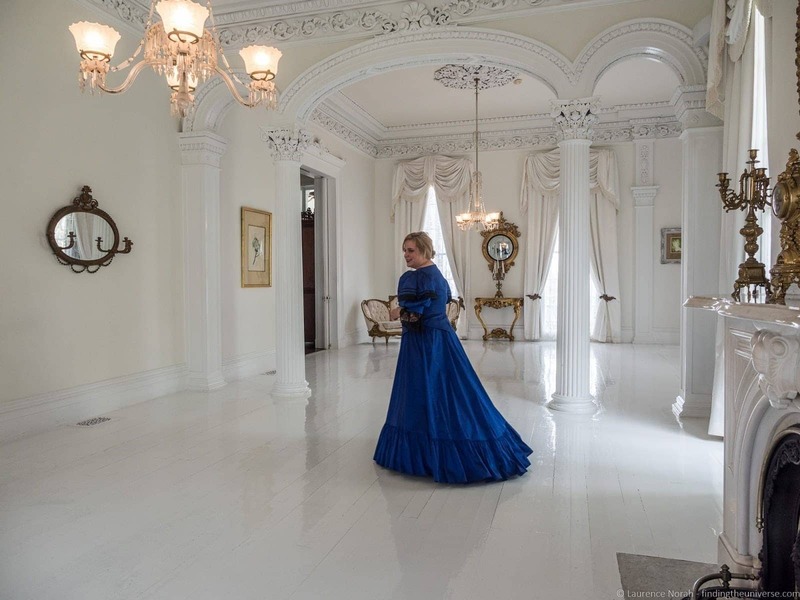 The tour is excellent, with my highlights being the White Ballroom, the views over the Mississippi River, and the insights into the history that our period dressed guide was able to share. We also both really enjoyed wandering the grounds both before and after the tour, which are worth spending a bit of time exploring. 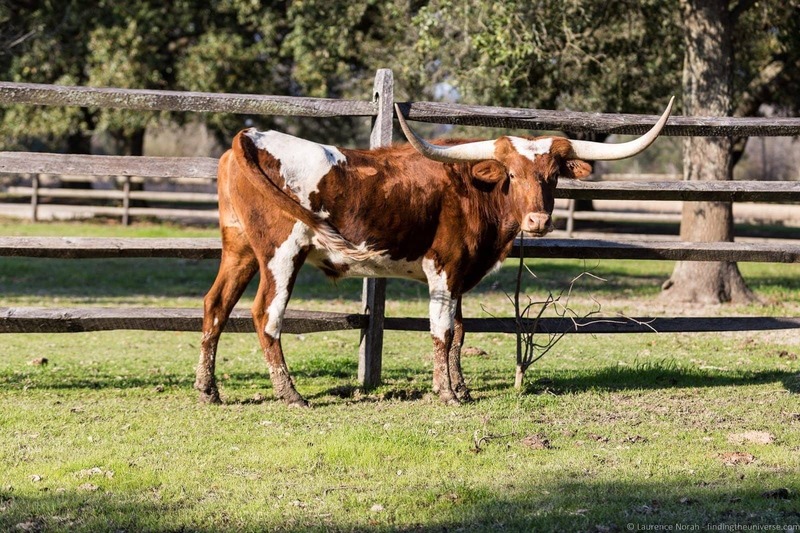 Final tip for visiting Nottoway Plantation – be sure to get some food at the little café. We had excellent gumbo and jambalaya at fantastic prices. Another plantation worth visiting when in Baton Rouge is Magnolia Mound Plantation. 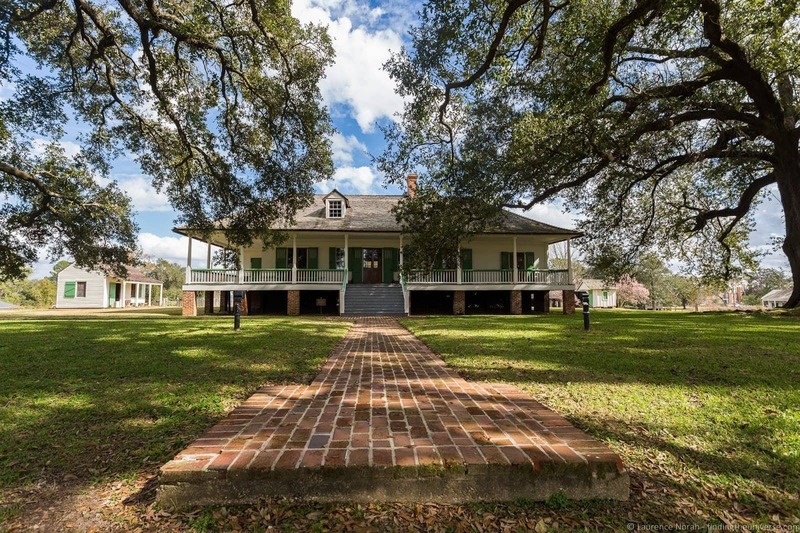 This is an entirely different style of plantation home to Nottoway or Oak Alley, and is in fact one of the oldest buildings in Baton Rouge. Unlike many of the other plantation homes, where the owners became wealthy and built ever grander and more elaborate properties to showcase their success, the Magnolia Mound plantation is the pretty much the same house that was built in 1786 – with a few enlargements added in the early 1800’s to accommodate a growing family, and a bit of decoration through the years. It’s quite a contrast from the grand nature of the other plantation homes, and feels much more like a working home. 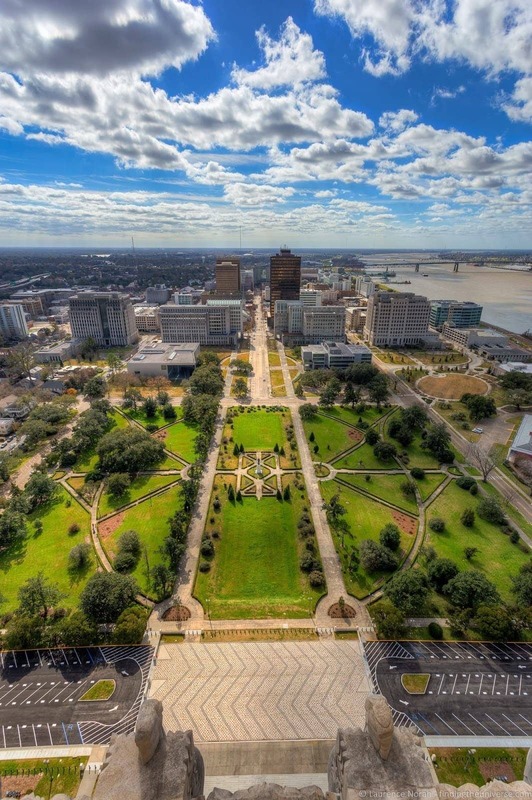 Today it’s owner by the City of Baton Rouge, and guided tours are available. Definitely worth a visit. 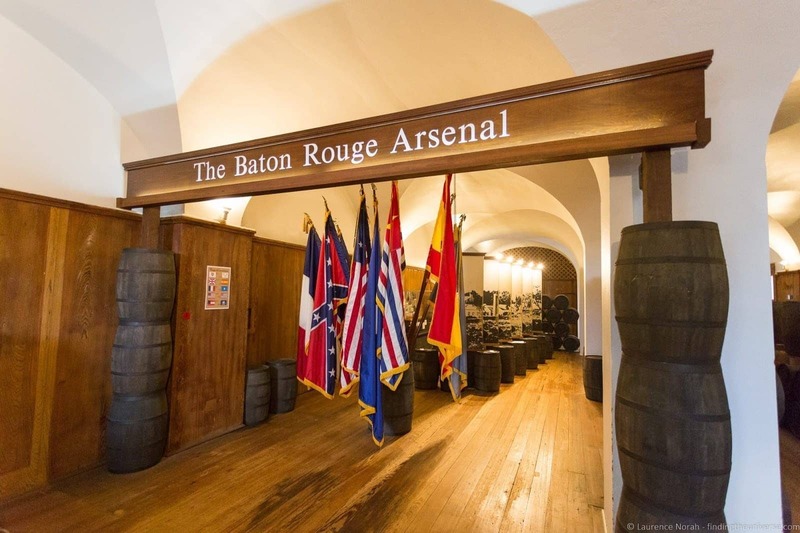 Something a little bit different to round up the attractions in Baton Rouge that you should consider visiting. 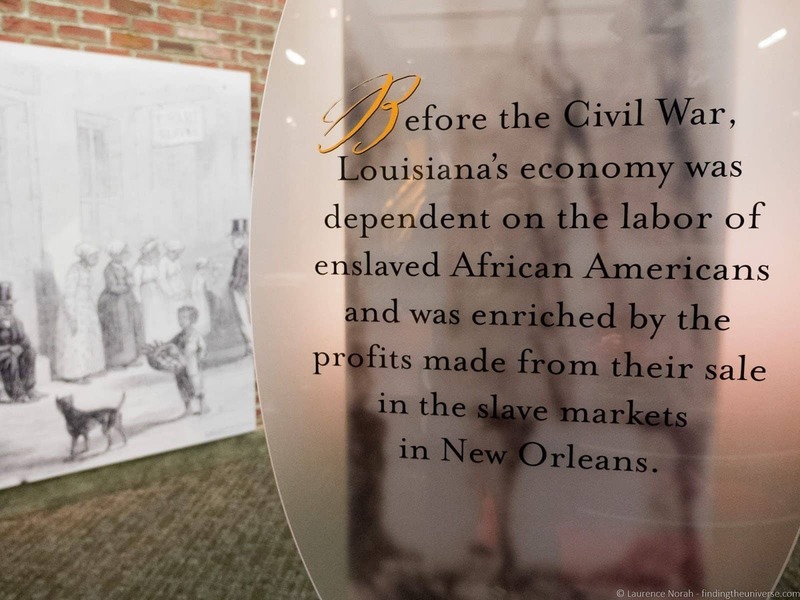 The LSU Rural Life Museum is a large museum dedicated to culture of 18th and 19th century rural Louisianans. It has a huge collection of artifacts from this period, including over 30 buildings that you can wander around in and explore, to get an idea of what life might have been like for the folks who lived off the land in this part of the world. 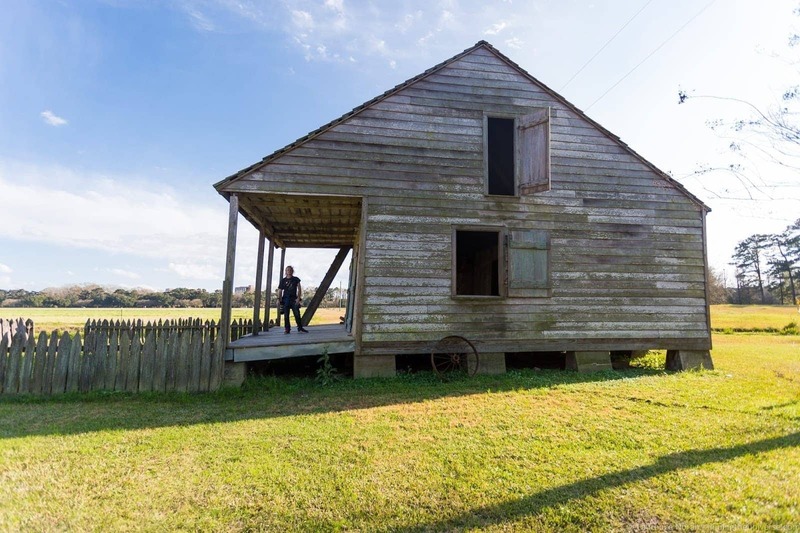 We found it to be a peaceful and informative place to while away some time learning about the rural history of Louisiana, and if you’ve got an interest in the land and rural life, you’ll find it interesting. All of the above activities are wonderful, but to be honest, my favourite thing to do in Baton Rouge was just to wander around with my camera and take photos. And my absolute favourite place to do that was on the river front at sunset, where I watched some gorgeous color displays. I made of point of coming down here for sunset every night that I could, and it was a highlight of our visit. 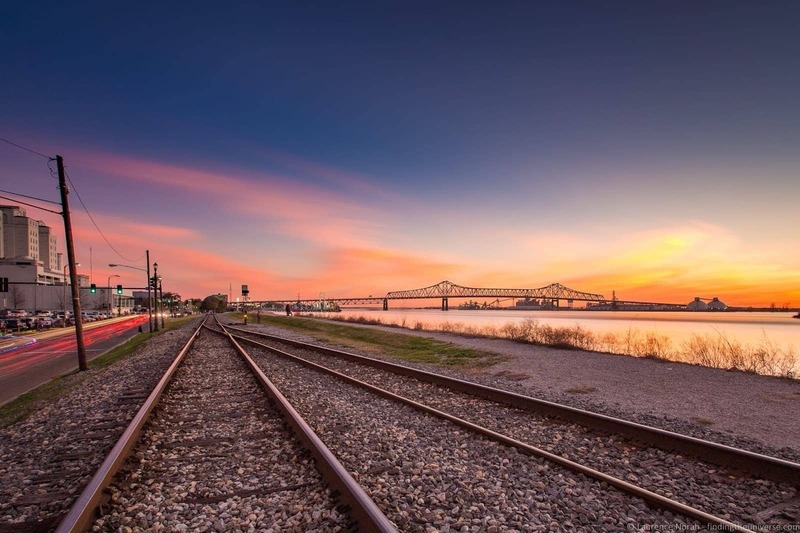 Well, those were some of our favourite things to do in Baton Rouge. Let’s take a look now at some practicalities for your trip to Baton Rouge, starting with our tips on where to stay. 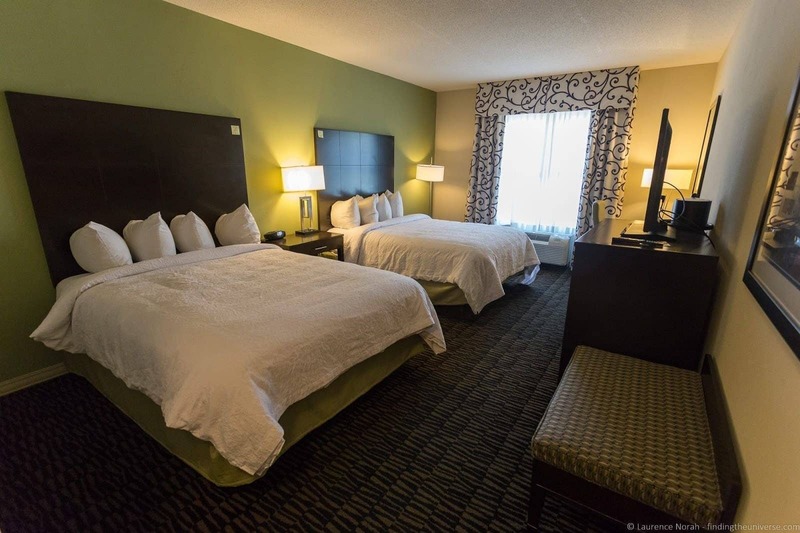 We stayed right in the heart of Baton Rouge at the Hampton Inn and Suites. This was located an easy walking distance from all the sights in town, as well as being just one block from the river, meaning I could pop out and catch those sunsets. 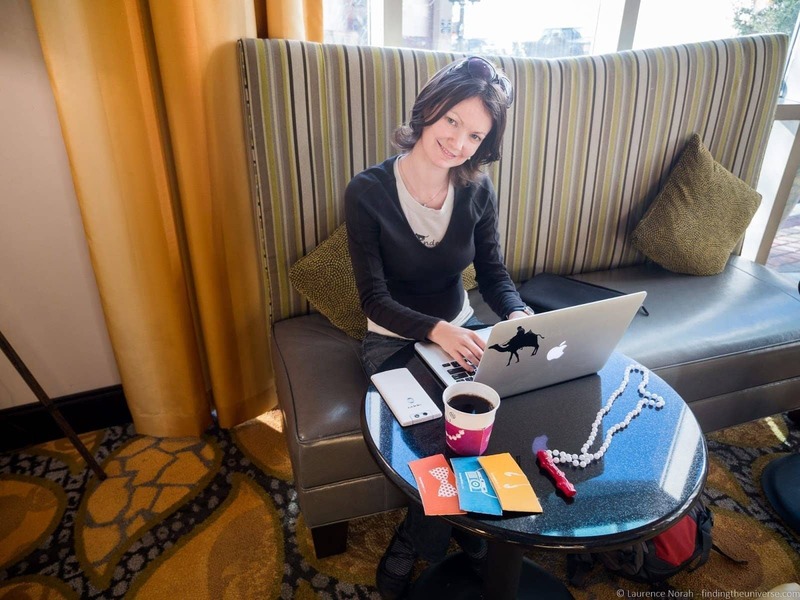 The rooms were comfortable and quiet, the included breakfast was excellent, free coffee was available all day, and there was a nice area to work in when we weren’t out and about sight-seeing. The only downside was that parking wasn’t included, although at $8 a night, it wasn’t too pricey when we stayed. 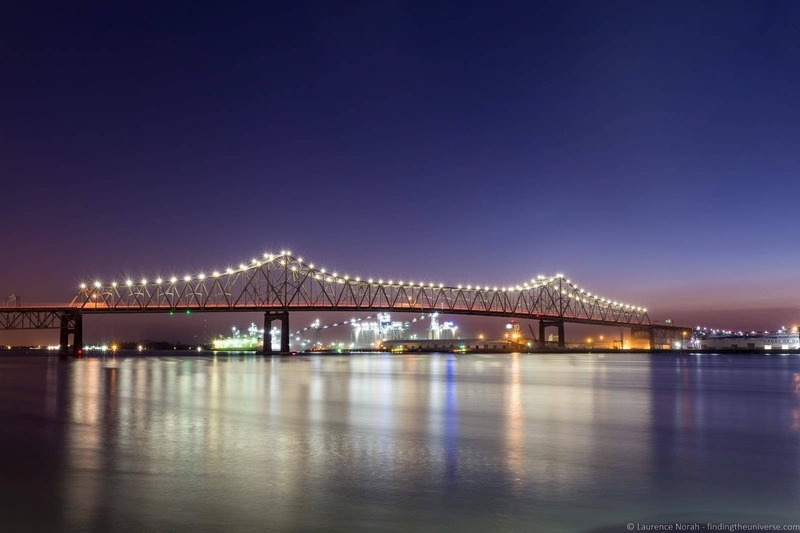 Watermark Baton Rouge – found in a historic skyscraper, this 4* hotel is part of the Autograph collection. It’s very well rated, offers a central location, on-site deli and a free airport shuttle service. 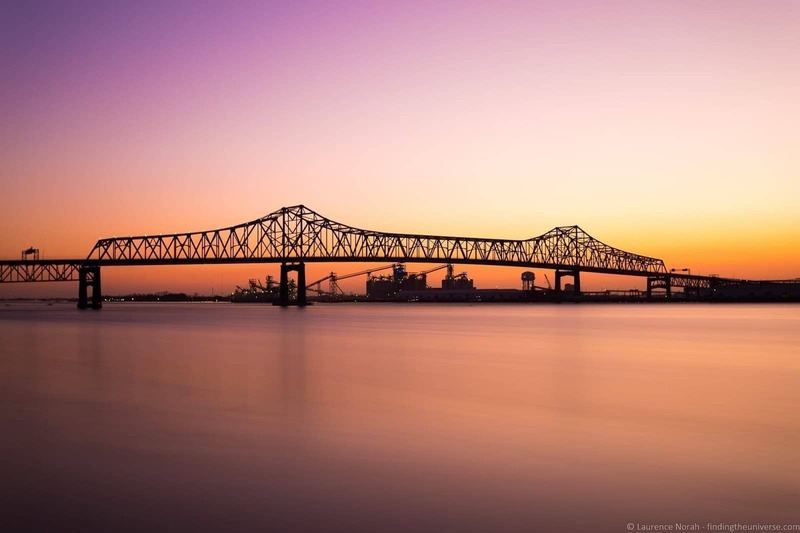 Obviously, if you’re planning on visiting Baton Rouge for Mardi Gras, then you’ll want to visit when that’s happening! 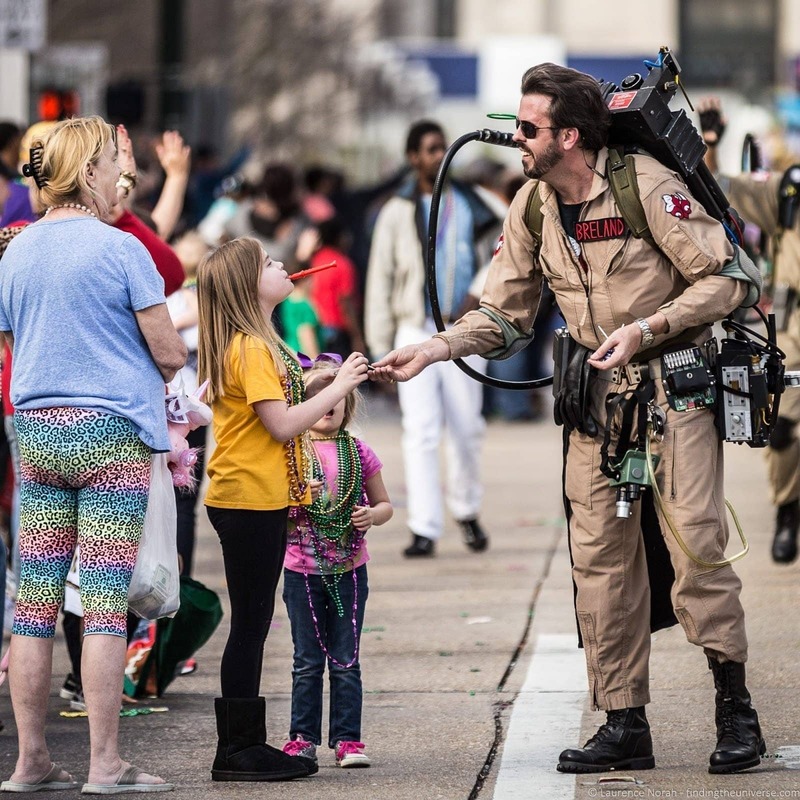 Mardi Gras dates change every year, so check when it’s happening and the parade schedules to be sure you visit at the right time of year. Otherwise, Baton Rouge is a fairly warm city to visit, although we were there in early February, and it cooled down enough to require a coat in the evenings. Summers are hot and humid. With this in mind, the most pleasant times to visit are likely Spring, around March and April, when the temperatures are a pleasant 21C / 71F average and the humidity isn’t high. 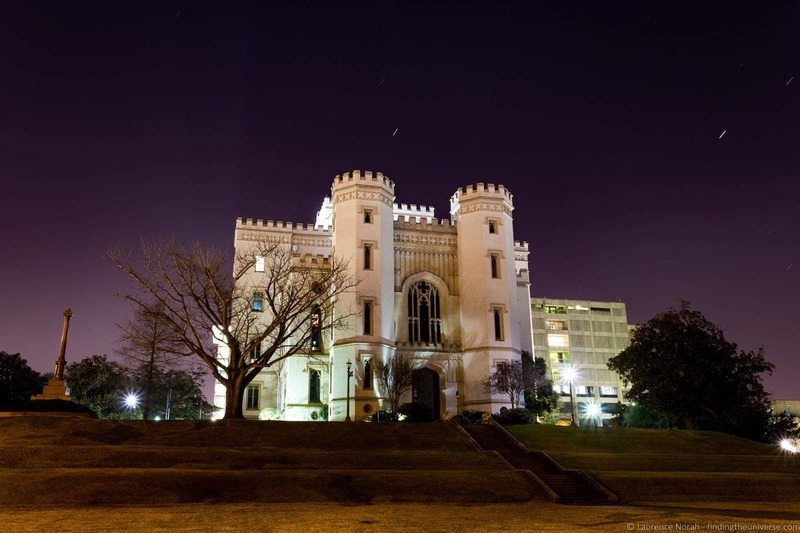 Baton Rouge is a wonderfully walkable city, with most of the attractions on this list within a five or ten minute walk of each other. There are some exceptions though, so you might consider hiring a car for the out of town sights as we did. We usually recommend and use Priceline’s car rental price comparison tool, which works worldwide to find the best price on a rental car – it checks all the major car hire companies and we find it usually comes up with the best deal. And that’s pretty much it for our guide for things to do in Baton Rouge! Have you visited this city, or is it on your list? Anywhere you’d recommend visiting? Let us know in the comments below! Our trip to Baton Rouge was in partnership with Visit Baton Rouge, who arranged our accommodation and entry to various attractions. All other expenses were covered by us. See our code of ethics for more information on who we choose to work with. Thanks for this! You gave me some great ideas for our upcoming trip in July. My husband is competeing in the Masters National track meet!